Home construction had ground to a near halt during the Civil War years. But in 1868 brothers John and George Ruddell were making up for lost time. For the next few years the builders, who operated under the firm name J. & G. Ruddell, would be busy buying up building lots on the Upper East Side and erecting rowhouses. Between 1868 and 1870 they line the south side of the 62nd Street block, between Second and Third Avenue with 19 similar homes. Rather surprisingly, they used two architects--F. S. Barns designing nine of them, and James W. Pirrson responsible for two groups of five. Born in New York City, Pirrson was working on his own in 1868 when he started work on Nos. 222 through 230. About a year and a half later he would partner with Philip Gengembre Hubert to form Hubert, Pirrson & Co. Although generally the neighborhood east of Park Avenue was, at the time, considered the "wrong" side, Pirrson's completed homes were handsome and comfortable. At 20 feet wide and costing about $15,000 each to build (a little over a quarter of a million dollars today), they were intended for upper middle class owners. Like scores of rowhouses appearing throughout the city, the residences were faced in brownstone and included high stoops. Architrave openings with projecting lintels, arched double-doored entrances beneath showy peaked pediments, and bracketed and paneled cornices made the houses up-to-date if not uncommon. No. 230 became home to William F. Croft who, too, got into the building boom. Bradstreet's (the forerunner of Dun & Bradstreet) reported that he began business "in 1877 with very little capital." Focusing on the rapidly-developing Yorkville neighborhood, he quickly made money. While the Crofts did not rub shoulders with the millionaires who summered in Newport and Bar Harbor, they joined other well-to-do families in the fashionable resort hotels of Long Beach, New Jersey. Somewhat astonishingly it was the assassination of President James A. Garfield on July 2, 1881 that brought Croft's finances crashing down. On August 2 that year The New York Times reported that the builder's bankruptcy "was a surprise to the trade, as he was regarded as doing a flourishing business." He was currently constructing an apartment building on Seventh Avenue at 57th Street, costing more than $200,000, along with other structures on Madison Avenue. But, explained the article, he had invested heavily in elevated railroad stocks. "He held a considerable line of stocks on margin, and when the tumble followed the shooting of the President his brokers sold him out, it is claimed, without notice." He incurred losses of $75,000--nearly $1.8 million today. Croft moved his family to No. 555 West 128th Street before 1888. But his problems seem to have followed him. In the early morning hours of April 4, 1888 he was arrested for "smashing a window in Philip Milligan's saloon." The Evening World explained, "He wanted to get in after the place was closed." At the time of the window smashing, merchant Robert Gordon was living at No. 230 East 62nd Street. The well-respected businessman owned his own building on Cedar Street and was one of the founders of the esteemed Down Town Association. In 1895 brothers Ferdinand and Hermann Carri purchased the house and converted it to The New York Institute for Violin Playing and School for Piano and Vocal Culture. Both men were composers and accomplished musicians. Large audiences assembled for their concerts in venues like Mendelssohn Hall and Chickering Hall. Ferdinand played violin and Hermann the piano. The Institute would remain in the house for decades. Following the annual recital in April 1907 the music critic from the New-York Tribune opined "The violin students of Ferdinand Carri...showed some fine results of training in a violin recital held at Mendelssohn Hall last Wednesday evening." The Carri brothers ran the Institute here until January 1920. Assessed at $11,500, the value of the outmoded Victorian building had dropped to about $136,000 in today's dollars. Architect Aymar Embury II would change that. Embury removed the stoop and moved the entrance to a few steps below street level. The stone window details were shaved flat, slightly projecting bandcourses defined each level, and a parapet with blind panels of balustrades replaced the outdated cornice. The painted stucco, tiny bas relief urns, pinwheel roundels and false balustrades gave the house a Regency flair. Embury married Ruth Dean in 1923. A renowned landscape architect, she was best known for designing the gardens of lavish country homes. Her wealthy clients included Vincent Astor, Howard Cullman and Arthur Lehman. She was responsible for the grounds at the famous Grey Gardens estate in East Hampton. Her husband enjoyed a similar clientele, designing the country estates of millionaires like James Boyd's Weymouth, at Southern Pines, North Carolina. The couple had a daughter, Judith, in 1927. Their own summer home was in East Hampton. On May 26, 1932 Ruth died suddenly in the house at the age of 43. Her funeral was held in East Hampton. For several years Embury would not return to East 62nd Street. He leased the furnished house to former United States Attorney Emory R. Buckner in October that year. A year later the Buckners, who were at their summer home in Nantucket, announced the engagement of daughter Betty to Potter Cox. Following the Buckers, Alexandra Ewing Noyes moved into the house in 1934 with her three sons. She was divorced from Newbold Noyes, son of the president of The Associated Press early that year. Alexandra's grandfather, Thomas Ewing, was Secretary of the Interior under Zachary Taylor and Secretary of the Treasury under William Henry Harrison. Her father, also named Thomas Ewing, had served as Commissioner of Patents during the administration of Woodrow Wilson. On December 8, 1934, Alexandra married her brother-in-law, Thomas A. Stone. Stone had been married to her older sister, who died in childbirth a year later. Another marriage took place that year. Aymar Embury married Josephine Bound on September 17. Following their honeymoon to Spain, they moved into No. 230 East 62nd Street. Along with his domestic life, Embury's professional life changed upon their return. The newly-appointed Parks Commissioner Robert Moses chose him as the chief or consulting architect in the many civic projects Moses initiated. Josephine Embury lavished her attention on the rear gardens. Every year, beginning around 1938, she opened her "ivy garden" for the City Garden Tour. It would be a regular stop until 1943. 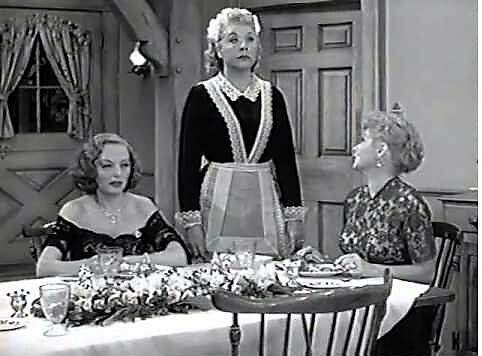 The Emburys remained in the house until 1955 when, in late November, they sold it to internationally famed stage and motion picture actress Tallulah Bankhead. She was equally well-known for her biting wit, gravelly voice and somewhat shocking lifestyle. Author Richard Alleman in his 1988 New York Movie Lover's Guide summed it up saying "She drank heavily, smoked six packs of cigarettes a day, went to bed with both men and women, was renowned for her bawdy stories, and yet, throughout it all, Tallulah Bank head was one great lady." The following year Bankhead appeared on stage as Blanche DuBois in a revival of Tennessee Williams's A Streetcar Named Desire. Williams remarked that after a performance "when the play was finished I rushed up to her and fell to my knees at her feet." But the actress was suffering from serious addictions at the time. One of her most memorable television appearances was on the Lucille Ball-Desi Arnaz Comedy Hour in 1957 in which she played herself in the episode "The Celebrity Next Door." Reportedly both Ball and Arnaz were exasperated by her appearing on set seemingly drunk and delaying rehearsals. An article in The New York Times on July 24, 1958 reflected a pattern of accidents happening in the 62nd Street house. "Tallulah Bankhead, an actress, was slightly injured last night in a fall [in her house]. Miss Bankhead tripped and broke a vase. She fell and cut her left forearm on one of the fragments. Her doctor took five stitches in her forearm." Bankhead sold No. 230 on December 29, 1961 to George Huntington Hartford, heir to the A & P supermarket fortune. She moved to No. 447 East 57th Street and died in St. Luke's Hospital on December 12, 1968 at the age of 66. Supposedly, her last understandable words were "codeine...bourbon." Hartfort paid cash for the house. In reporting on the sale The New York Times noted "it contains twelve rooms, including three bedrooms, three bathrooms and three servants' rooms." It was only one of his several residences, including a Melody Farm, a 160-acre estate in Mahwah, New Jersey; a Hollywood estate, The Pines; a townhouse in London; a home in France and another on Paradise Island in the Bahamas. His most lasting legacy would be his art extensive art collection, which became so large that he commissioned architect Edward Durell Stone to design the Gallery of Modern Art at No. 2 Columbus Circle to house it. The museum opened in 1964. Included in the collection were works by Salvador Dali, Henri de Toulouse-Lautrec, Monet, Manet, and Degas. Other than the removed stoops, the neighboring houses retain their 1868 appearance. Hartford died in 2008. No. 230 East 62nd Street remains a single-family home today. It recently underwent a facade restoration and is little changed since Aymar Embury II gave it a remarkable facelift in the 1920s. Thomas Ewing, Sr. was also the foster father (and subsequently father-in-law) of famous American Civil War general William Tecumseh Sherman.